Can you find high value web hosting? - DynamicNet, Inc.
Can you find high value web hosting? One of the joys I have as steward of Dynamic Net, Inc. is getting to converse with other small business owners. I’ve found you stay in touch by being in touch. The most recent topic of discussion in the Linked To Lancaster LinkedIn group was the need for every single organization to have a web site — especially if your organization is a small business. Kenton’s statement makes a lot of sense. Web site design is very visual. Designers can white board, story board, and show you successful sites they have created in the past. What can a web hosting company show you, visually, that they are unique as well as the being the company for you? The Kennebunk Inn in Maine, US came to mind. Brian and Shanna O’Hea came to us in the year 2005 when they needed a managed hosting provider who would help keep their site secure; and walk them through the ecommerce dance. 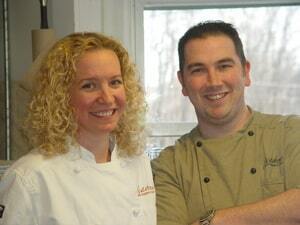 Brian and Shanna are passionate about cooking, about food, and about their inn. Like most small businesses, they don’t have the time to make sure their web site is online yet alone worry about the what if… what if their work is featured on a major network? Would their web site be crushed? Would they be pressured to upgrade to a VPS or dedicated server from their economical shared hosting plan? Who has time for those worries? Back to cooking and great food. Did you know Brian and Shanna have “THE BEST” Maine Lobster Pie? Iron Chef Cat Cora put her reputation on the mark when she picked the Maine Lobster Pie from The Kennebunk Inn in Maine. Brian and Shanna’s work was featured on The Food Network, The Best Thing I’ve Ever Ate. The Kennebunk Inn is hosted our our Linux Professional Plan; they started on the plan in 2005, and they are still on the same plan today. All of our infrastructure was completely green while The Kennebunk Inn’s sales of Maine Lobster Pie skyrocketed from being featured on the show. Brian and Shanna didn’t have to worry about being throttled or otherwise being put into a bad spot due to being featured on a major TV network. When Shanna O’Hea was one of the competing chefs on The Food Network show, Chopped, she didn’t have to spend a moment worrying if her and her husband’s web site was up and running. Shanna spent her time on Chopped cooking with passion! Just like when Brian and Shanna’s Maine Lobster Pie was featured, being on a major TV network with increased site traffic still had the servers and environment with green lights on. Each and every one of our customers matter to us. We compete on core values we believe strongly benefit our business customers. If you are not 100% happy with your web site hosting provider, contact us to discuss how we can be your servant and provide you with reliable and secure hosting.